Thank you for taking the time to read over this page! Our amazing teachers are the heart of our school! Sara has twenty-seven years working with young children in home and preschool settings. 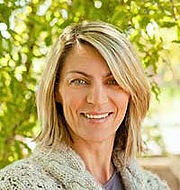 Early in her career she owned/directed Natural Bridges Montessori (2003-2007). She continued her career receiving her Bachelors of Arts degree in Developmental Psychology. American Montessori Society training and certification. Sara is a life long learning, most recently working 4 years for Common Threads Montessori and obtaining her Director permit. Discovery West is thrilled to have Sara lead this beautiful school! "I believe in a child-centered approach that allows children to lead themselves in their own learning. Experimentation with new activities and observation are the keys to understanding what it is that each child needs to support individual growth - I ask myself: how can I serve this child best? Cultivating social/emotional health, independent thought and action, and constructive engagement with the school environment are my primary goals as a teacher. It is a deep pleasure to work with young children: they have been, and continue to be, my greatest teachers by far." Dragica started at Common Threads Montessori in 2007 and has been an internal part of our team as we've become Discovery West! With more than sixteen years working with children, Dragica's work with children is an art form. "I look at each child as a unique individual. The children are capable of learning so much. The staff care deeply about each child, and we have great communication, collaborating daily." Cynthia has more than sixteen years of office administration experience, specializing in education since 2007.